If you, a family member, or a friend has been arrested and can only secure release from jail with a surety bail bond, call the professional bail bondsmen at Indiana Bail Bonds. From our surety bail bonds to other bail services, we are able to secure your release from jail quickly. We are able to go over the whole surety bail process with you and make the situation a lot easier. Don’t let a surety-only bail bond get in the way of going about your day to day life, by calling us at 317-423-9300, we can help you pay your surety bail bond in Avon and Indianapolis, IN and get out of jail quickly. Is Your Release Set As a Surety Bail Bond? Call Us for Surety Bail Bond Services. In order to be released from jail on surety bail bonds, you must pay the full amount of the bond. The amount of the bond will be based on the type of crime, criminal history, and if the defendant is at risk of skipping their court date. A surety bond is put in place to encourage to convicted to show up on their assigned court date, as the bond will be forfeited if they don’t appear in court. The problem is, surety bonds can be very expensive, especially when they have to be paid in full. 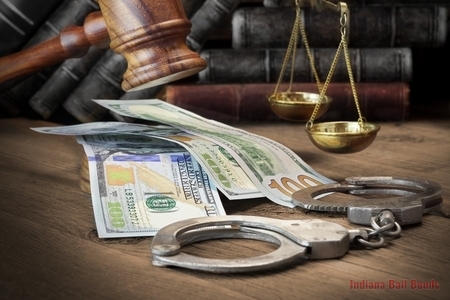 If you cannot afford to pay for your surety bail bond in Avon and Indianapolis, IN, we can provide assistance 24 hours a day, seven days a week. Whether you have to pay a surety bail bond due to a DUI charge or a felony charge, we want to be the bail bonds company to help you. Every situation is different but will do everything in our power to help you. Our bail bond agents work hard to give you the respect you deserve and a timely release from jail. We are able to offer professional assistance throughout the whole process and provide helpful advice whenever you need it. Let our team help you with your surety bail bond in Avon and Indianapolis, IN today by calling us at 317-423-9300. We will go above and beyond to ensure you are released from jail quickly and without a hassle. Updated on February 1, 2019 at 2:49 pm by Indiana Bail Bonds.